The most-popular room in the house for renovation is the bathroom? Whether you are enlarging that room to update and modernize it to include more amenities, or just revitalizing it with some new plumbing to add a pedestal sink, wall-mounted toilet, or even a stand-alone soaking tub, you already know the inconvenience of not being able to access the bathroom for a few days (or even weeks) while the project is being completed. But you also know, in the very end it will be worth it. If you want to remodel your bathroom to give it a more traditional look you should contact a bathroom remodeling expert in Doraville who specializes in traditional bathroom design. 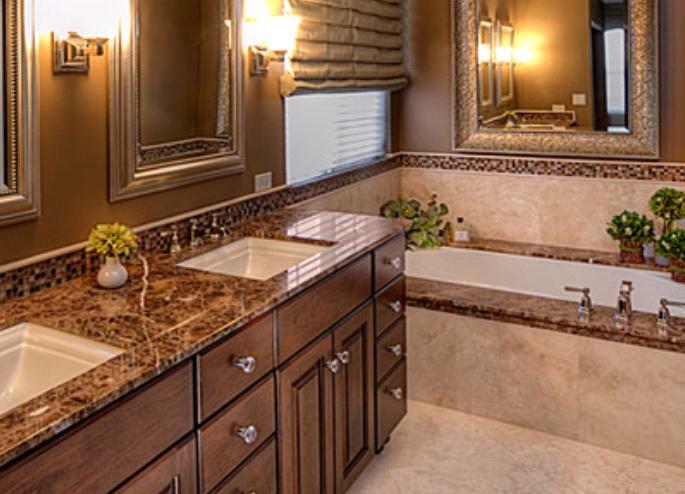 Doraville has many great bathroom remodeling contractors that can help you design the traditional bathroom of your dreams. The trendier bathrooms today have become somewhat of a masterpiece. The room in the house that receives the most action is the bathroom, and, whether your home is lucky enough to have his and her bathrooms, or a master bathroom, that room is a place of peace and solitude, and it is made even richer when you make the special effort to create the luxurious décor to match. Perhaps you prefer the bathroom counter made of an exquisite marble or granite composition paired with classic white porcelain, as is usually found in a traditional bathroom design, over such trendy amenities such as a Jacuzzi or steam shower. Whatever is your preference, it all becomes a safe haven to retreat from the rest of world. Many people are content to keep their more traditional style of bathroom… one without all the bells and whistles, yet understated and elegant, as opposed to chic and trendy. Or perhaps you’ve tired of the modern bathroom and want a master bath that is a classic and elegant room? The traditional bathroom has no trendy wall colors, often just a creamy-toned trim, pure-white ceiling and rich-looking fleur-de-lis or tiny flowered wallpaper. Often, sconces adorn each side of a mirror and there is low lighting in the bathroom. No, the traditional bathroom is not one where you will find a shower stall that looks like a clear phone booth, or a sauna or whirlpool positioned neatly in the corner. You’ll find no elongated, car-wash style showers in this bathroom. That is because the word “traditional” is a rather loose term which often overlaps with terms like “retro”, “vintage” and “eclectic styles”. 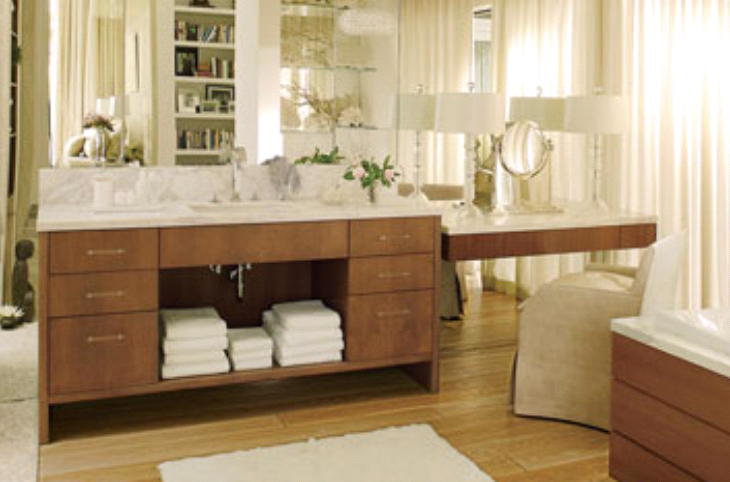 A traditional bathroom is not one that is “spa-like”, “sleek”, “daring” or “minimalist”. The traditional bathroom often has design elements that hearken back to a vintage or nostalgic look, yet still maintains a fresh, modern look, and that look is often light and airy, with light-colored cabinetry and sometimes wainscoting with a matching wood grain that completes the timeless style in the bathroom. Whether the bathroom’s traditional design matches the rest of the house or not, there is nothing out of place with the traditional, timeless and clean-cut look and one room certainly does not look out of place at all when the rest of the home may be more chic or trendy looking. Finally, traditional bathrooms do not cater to a specific decade, but instead defy short-lived design trends, yet are not staid or bland, but instead may be calming, subtle and elegant. 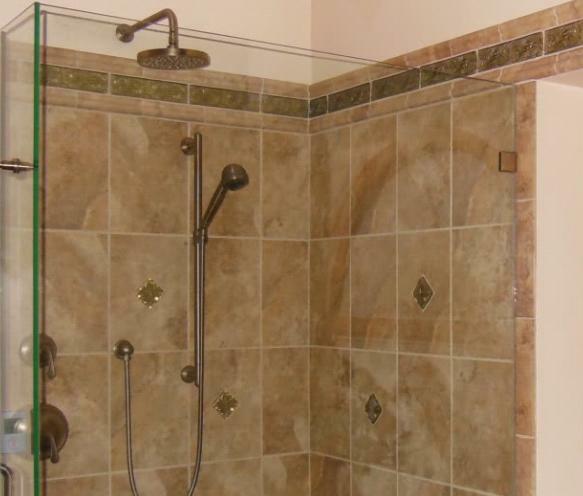 A home remodeling contractor in Doraville can help you to create the perfect traditional bathroom.